ROH Beadlock are new to the exclusive range of ROH Dakar Proven Wheels®, the all new ROH Beadlock 4x4 wheel comes in matt black finish with black anodised aluminium bolts. 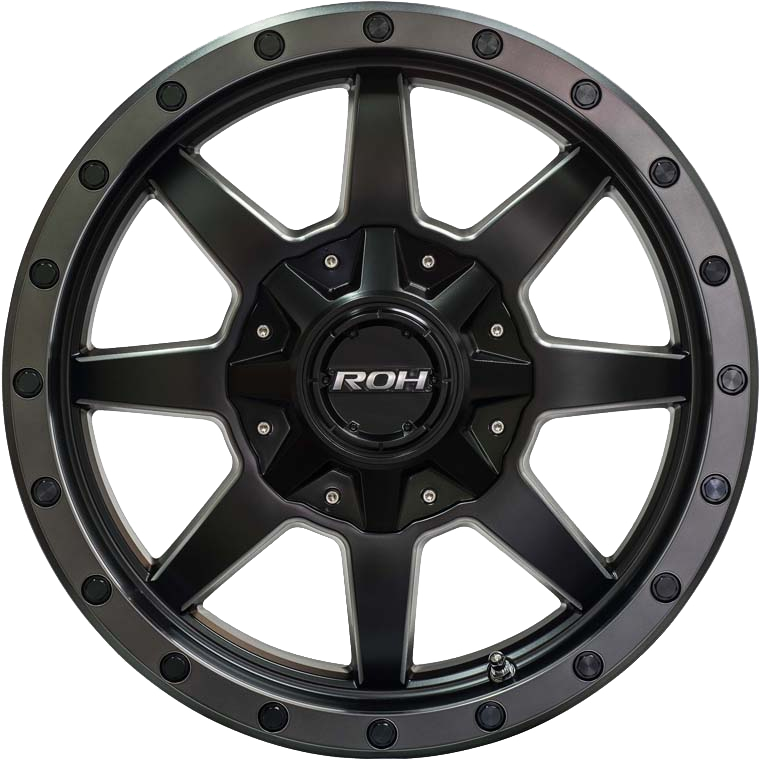 ROH Beadlock are new to the exclusive range of ROH Dakar Proven Wheels®, the all new ROH Beadlock 4x4 wheel comes in matt black finish with black anodised aluminium bolts. Beadlock is a next-generation deep-dish 8-spoke design enhanced with bright CNC milling on the matt black spokes. Design details include 20 black anodised aluminium bolts assembled to the matt graphite outer beadlock lip. Beadlock features the ROH Easycleans® Matt Black Baked Enamel finish providing superior salt spray performance and anti-weathering durability making it an ideal wheel for both recreational and commercial end-users.